There is almost nothing more essential for the practicing dentist than the ability to both recognize occlusal instability and achieve occlusal stability. The starting point for all treatment planning is determining how to create an occlusion that provides each patient with long-term stability, comfort and maintainability. Achieving this result is accomplished by following the systematic protocol shown below for ensuring occlusal stability. A successful outcome requires applying these requirements, the TMJs must be evaluated for stability and comfort. 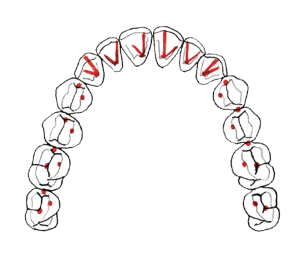 The occlusion can only be evaluated after it is determined that the TMJs are stable. Criteria 1: Stable contacts on all teeth of equal intensity in centric relation. Centric relation is defined as the relationship of the mandible to the maxilla when the properly aligned condyle-disc assemblies are in the most anterior-superior-medial position in the glenoid fossa. This is consistent with the direction of force of the masseter, temporalis and medial pterygoid muscles when they contract in closure of the mandible. Achieving criteria 1 often requires shaping the teeth so they contract with equal force so no tooth takes more force than another. The equal intensity contracts must be in a direction that reduces stress on the teeth and periodontium, so posterior tooth contacts should be directed axially, not on the inclines. Criteria 2: Anterior guidance in harmony with the envelope of function. Because the anterior teeth are designed to protect the posterior teeth, an anterior guidance that is in harmony with the envelope of function is essential for a successful, long-term, stable result. Furthermore, proper anterior guidance reduces elevator muscle activity when the teeth guide in excursive movements. When anterior guidance is in harmony with the muscles, joints and tooth function, harmony with the envelope of function is also achieved. Therefore, proper anterior guidance, determined by the mandibular anterior teeth and the lingual contours of the maxillary anterior teeth, ensures there are no interferences with the normal, functional movements of the patient’s mandible. Criteria 3: All posterior teeth disclude during mandibular protrusive movement. 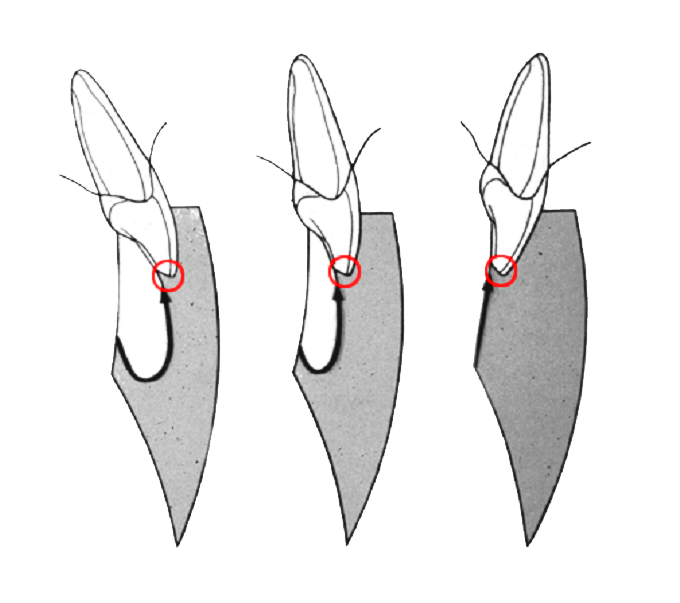 Criteria 4: All posterior teeth disclude on the non-working side during mandibular lateral movement. Criteria 3, 4 and 5 are evaluated together. 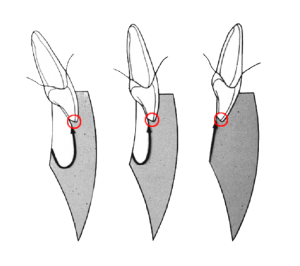 The goal is that the posterior teeth contact in centric relation with equal intensity (not on inclines), and immediately disclude when the mandible moves in any direction. When the TMJs are stable, the muscles comfortable, and the teeth in the neutral zone, the five requirements of occlusal stability can be utilized to evaluate for occlusal stability and to treatment plan any corrections needed to achieve a long-lasting, stable, and comfortable occlusion.